Can your business innovate and thrive in the Digital age? Can you enable your infrastructure like Google? How can you stop Big Data from disrupting your business? Unified tap and go location technology – for iOS and Android. Unlike proprietary solutions such as Apple Pay, our patented BluetoothTap terminal makes it simple for customers to tap in, redeem offers, and more – using both Android and iOS devices. We will be demonstrating this technology at the event for registration and managing the bar tab! Micro Data Centre – the fast route to innovation. Continuous delivery, ready to go. Get a cutting-edge AWS infrastructure, up and running from day one. And all the help you need to establish a DevOps mindset. UX Forms gives you powerful tools to create your own webforms – complete with detailed analytics that help you refine the customer experience, fast. We’re heading into the stratosphere with a world record attempt. Our mission: achieve the highest altitude in horizontal flight by a winged aircraft. Event registration and welcoming refreshments. Andrew Pattinson introduces the day and explains the theme behind the conference. Most leaders and managers today, feel a palpable sense of upheaval in the world around them. There is a collective sixth sense that something large, fast and disruptive is happening. Yet in dark moments it can feel like the world is passing you by. Dave Allan founder of Innovation Company What if has been working in the field of innovation for the last 20 years. In his talk he will explore the forces that are re-writing our future and the opportunities and implications that this presents. Three major tectonic shifts that are driving unprecedented disruption in who we are and how we live and consume in the world today. The implications and opportunities for businesses astute enough to recognize and re-engineer for this shift and the opportunities to prosper in this new world order. Why this future requires a more open and experimental mode of working and some examples and provocations for businesses to take up this challenge. To illustrate these points Dave will draw from What If’s 20 years of innovation experience from across a whole range of industries and markets landing theory in some pragmatic examples. There is a major risk of forgetting people in the rush to implement digital transformation - becoming transfixed by the technological, systems and operational elements of transformation and forgetting the opportunity. Which is to build ever closer, lasting bonds between consumers and brands and businesses. The solution being cultural change built around staged proofs of concept - often outside the core systems - understanding that Marketing teams need to shift the way they work from planning and managing campaigns to telling stories in real time. Containerisation technology like Docker has taken the tech world by storm. Companies like Uber, Ebay and Spotify have all talked publicly about how Docker containers have aided their development processes and sped their time to production. Two years ago, and rather quietly, Google launched a tool called Kubernetes. This is an open-source version of a tool they had been using internally to deploy and manage over 2 billion containers a week. Kubernetes reflects all of the lessons learnt in running this system at scale. This talk will explain the importance of the container movement, and where it is heading. It will investigate the business drivers and corporate strategy driving the market, and why you might be interested in running your IT infrastructure like Google. Dinner and an opportunity to mix with Digital experts. What have Graph databases ever done for us? What is a Graph database? How can a Graph databases help your business? There is a massive amount of noise about 'big data' and the amount of this data being generated. Business' all over the world are spending huge amounts of money assiduously collecting this data but is this enough? Will just having this data give your business the insight it needs or do you need a way to understand the complex relationships hidden in the data? Join Jim as he explores how Graph databases can help your business make sense of the huge amounts of data by uncovering the relationships hidden within. Traditional Enterprise Architecture has done businesses no favours. Every year a picture of current complexity is presented to the CIO, along with a string of third party software packages that will fix it, and yet every year the sequence is repeated and complexity increases. The Digital revolution in large corporations is a response to smaller competitors who get the connection between technology and customer experience and who are not hamstrung by the dominant forces of large consultancies and big software packages. In this talk Julian Browne talks about the sacred cows that must be killed and the spellbinding complexities that must embraced to build, scale and nurture a true digital business. Opportunity to mix with Digital experts. 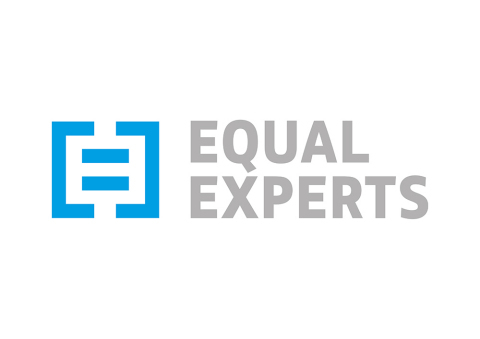 Equal Experts makes simple solutions to big business problems. We provide tailored, end-to-end services in software development and delivery – from user research and design, to technical architecture and development, all the way to QA, continuous delivery, hosting and support. With offices in the UK, US, Portugal, India and Canada, our network of over 700 experienced software consultants – a blend of permanent employees and associates – has created software for a wide range of public and private sector clients. These include organisations as diverse as HMRC, the Home Office, O2, Camelot and major institutions in the publishing and financial sectors. Continuing growth saw our total sales reaching £42 million in 2015/16. Everyone at Equal Experts is committed to using technology and modern agile practices to deliver measurable business value. Our people typically have at least 10 years’ experience in delivering valuable, working software, and this focus on experience sets us apart – it’s what allows us to develop high-quality software faster, and for lower cost.